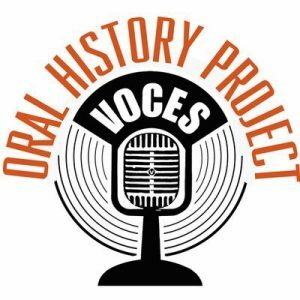 Voces Oral History Project is the leading Latino oral history archive in the United States. It began in 1999, with a mission of capturing untold stories of Latinos and Latinas who served, in the military or on the home front, during World War II. Our archive has expanded to include the Korean and Vietnam Wars, and Political and Civic Engagement, focusing on the continuing fight for Latino civil rights. Our goal is to continue to add collections to fill the gaps in the history of Latinos in America. To that end, we have assisted the National World War II Museum in New Orleans; the StoryCorps Historias collection; numerous PBS documentarians, both local and national, who have used our photographs in their works; the Golden Gate Bridge’s 75th Anniversary brochure. We have served as a resource for hundreds of journalists, with contacts, photographs and information. We have also served as a resource for textbook publishers and academics who have sought out our interviews and photos. What is Voces Oral History Project?